What is a Medical Cyclotron? 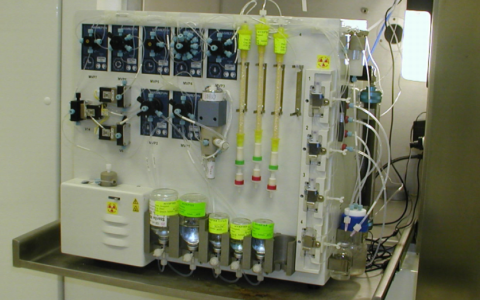 A Medical Cyclotron is a particle accelerator that produces PET isotopes. 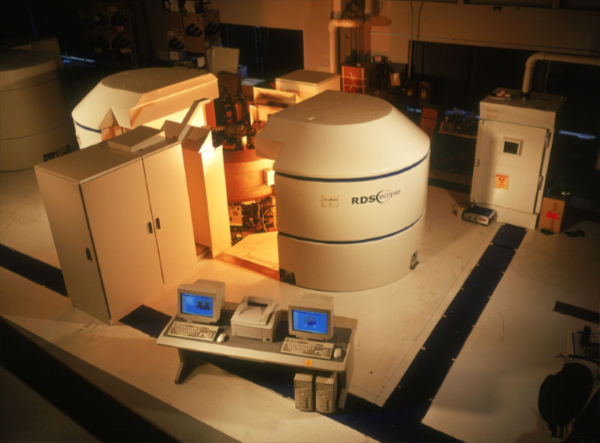 The RDS Eclipse is a self shielded machine & one of the safest and most reliable cyclotrons in the world. The medical cyclotron center at Midwest Medical Isotopes in northwest Oklahoma City is a state-of –the– art , 4000 sq. ft. facility which meets all the current FDA standards for Good Manufacturing Practices (GMP). Once the PET isotope is produced, it is then incorporated into FDG or Fluorine-18 Deoxyglucose. The final product, after passing multiple quality control tests, is dispensed as a radiopharmaceutical for patient use. In July of 2002, ground broke on the construction of the MMI, medical cyclotron facility in Northwest Oklahoma City. This state-of-the-art production facility was specifically designed to provide the most stable environment possible in which to operate a medical cyclotron. The building is made completely of insulated concrete which is just one of the ways we control environmental factors such as temperature, humidity, and conditioned electricity which must be held constant to keep our cyclotron ready to operate 24/7. These tight controls help us supply your business with isotope with far fewer unexpected and irritating down-time interruptions. CTI RDS Eclipse cyclotron is an 11 MeV negative ion proton accelerator. Every day of production, preventive maintenance, equipment rebuilds, and computer controls are supervised by the on-site facility engineer. Along with supplying PET isotopes as an independent wholesaler ( licensed by the Oklahoma State Board of Pharmacy & the DEQ) we are also heavily involved with on-going research work at the University of Oklahoma Health Sciences Center. MMI currently supplies raw Fluorine-18 as well as FDG for forefront research efforts that are seeking to synthesize new molecular biomarkers for PET imaging. The goal of this partnership is to provide the latest PET tracers to Oklahoma physicians, patients and PET facility participants. © Copyright Midwest Medical Isotopes LLC. All rights reserved.